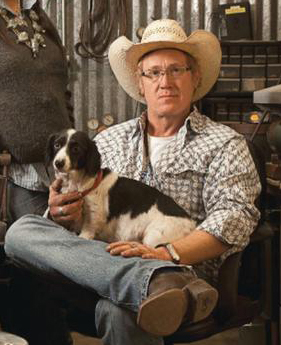 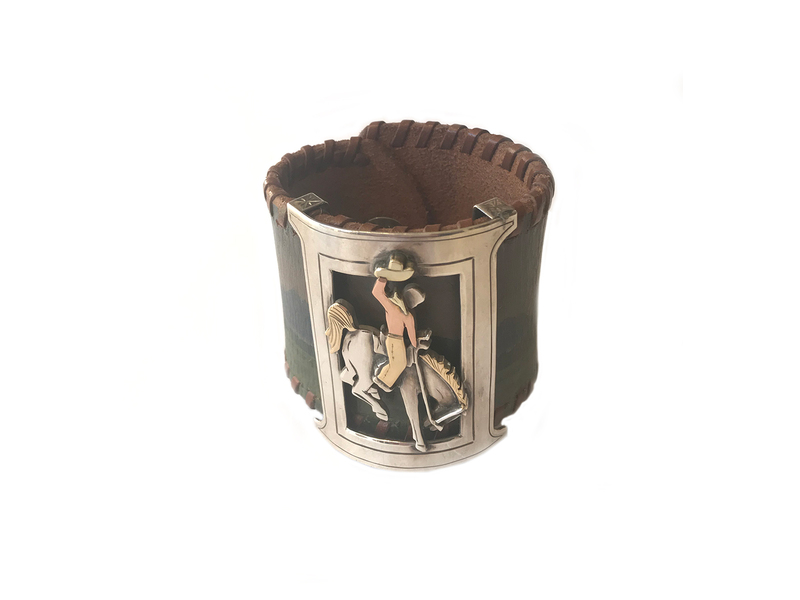 Leather Silver Gold Bucking Horse Bracelet made by Nick Cunningham. 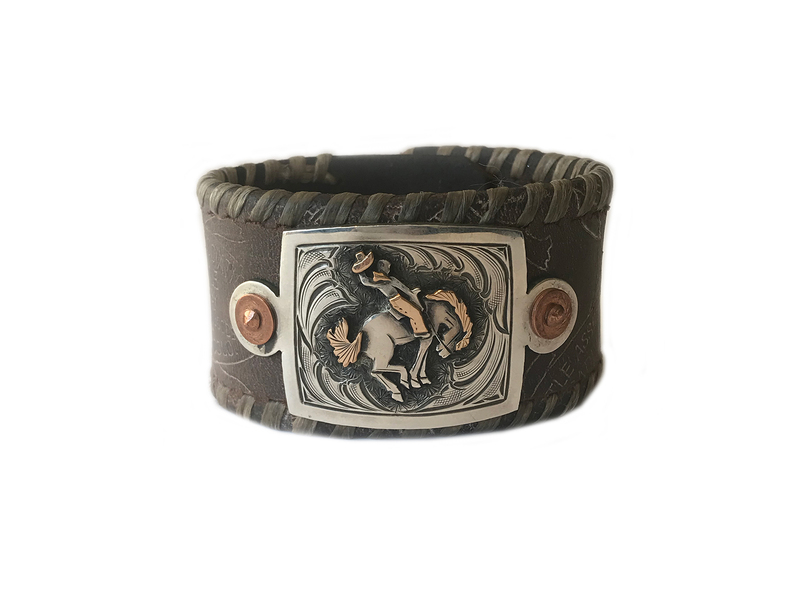 This striking bracelet features a cowboy riding a bucking horse made out of sterling silver and 14 karat yellow and rose gold. 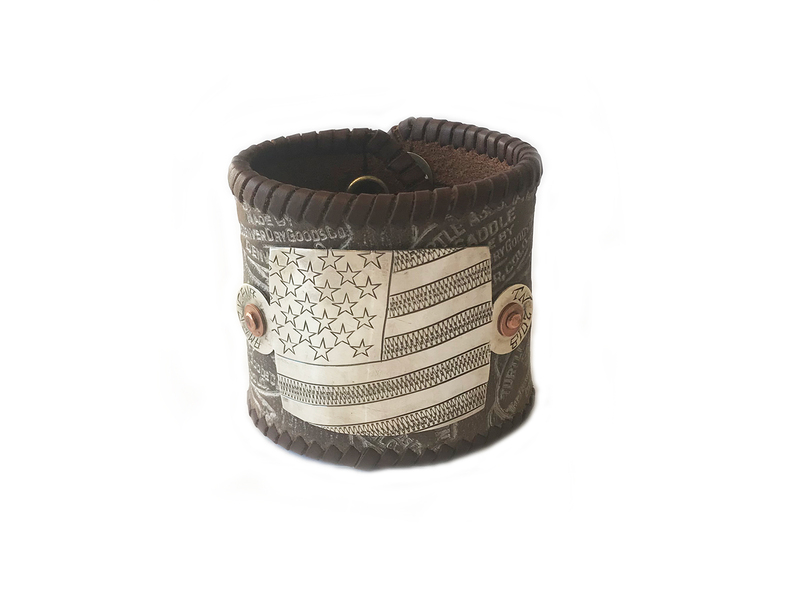 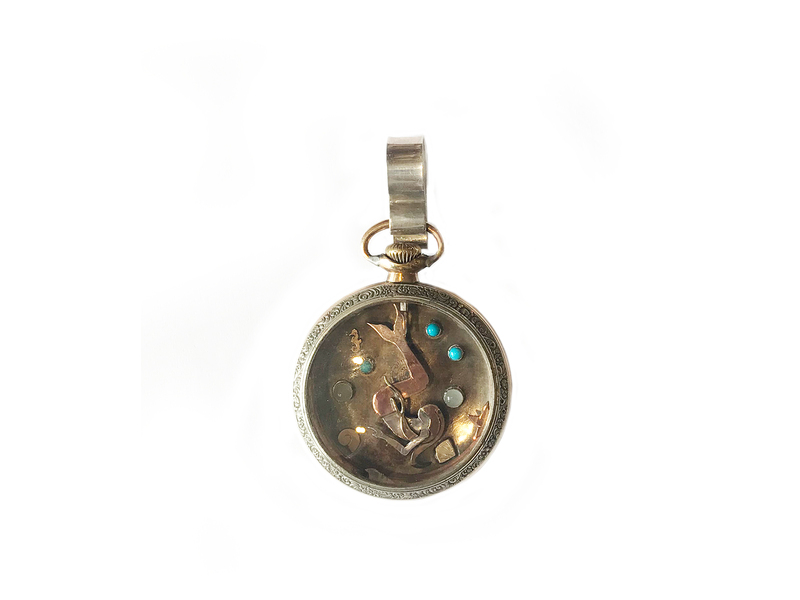 The bracelet is 1 3/4″ inch wide and the inside circumference is 8″ inches but has two closure snaps that can either be worn at 6 1/2″ inches or 8″ inches.